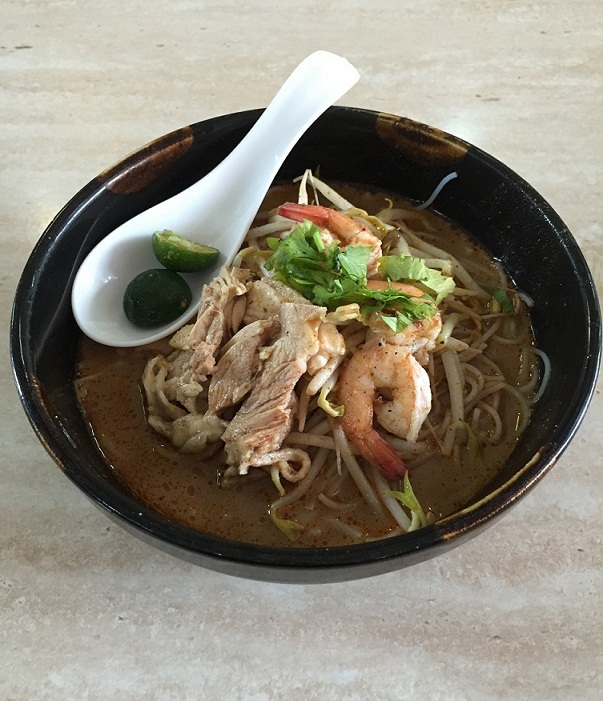 Learn how to cook Sarawak Laksa by following the simple steps below. 1. Wash all the ingredients. 2. Then, grind those ingredients in a blender. 3. Add water (50ml) to facilitate the blending. 4. Stir-fry mixture until becomes a thick paste. 1. Boil water in a pot. 2. Place chicken meat in boiling water for 30 minutes or until fully cooked. Set aside chicken meat to cool. 3. Place prawns into same boiling water for 5 minutes or until cooked. Set aside prawns to cool. 4. Pour Sarawak laksa paste into the same boiling water and let it simmer for 30-45 minutes. 5. Shred the chicken meat and peel prawns while waiting for laksa broth to simmer. 6. Then, beat eggs in a bowl and fry into thin sheets in a hot skillet. When egg is cooled, slice into thin strips. 7. Use boiling water, scald the beansprouts for 3 minutes and remove from water. 8. Repeat step 7 for rice vermicelli. Repeat steps if necessary for large amount of rice vermicelli & beansprout. 9. Remove excess oil from laksa broth by using an oil sieve. 10. Then, add coconut milk (or evaporated milk) into Sarawak laksa soup base and let simmer for another 10 minutes under low heat. 11. Add salt or seasoning to taste. 1. 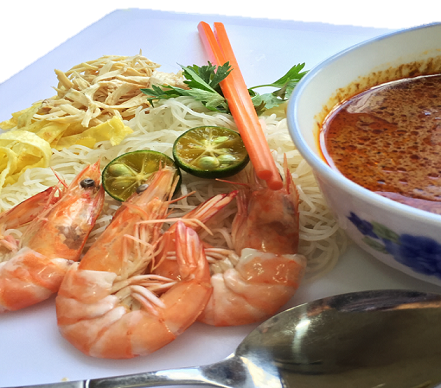 When serving, place a portion of boiled rice vermicelli in a bowl, topped with chicken meat shreds (from previous Sarawak laksa soup base preparation), strips of eggs, beansprout and peeled prawns. 2. Pour laksa soup on top and serve with belachan paste and lime on the side. 3. Garnish with chopped coriander leaves. 4. Sarawak Laksa is ready to serve.